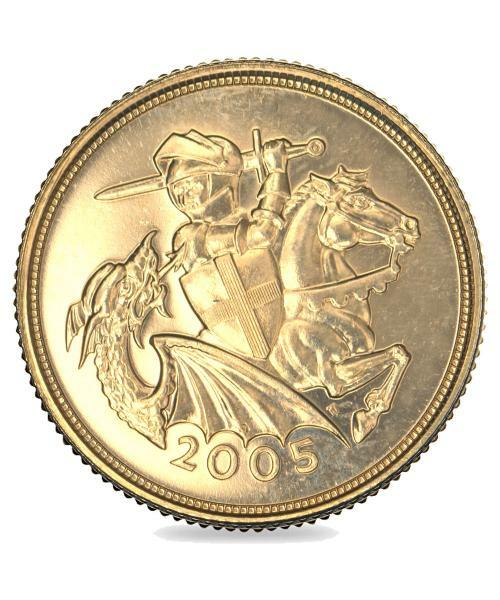 One of just under 46,000 gold coins released globally, the 2005 Queen Elizabeth II Gold Bullion Uncirculated Sovereign is the first and only coin to feature a brand new, one-of-a-kind Art Deco design. 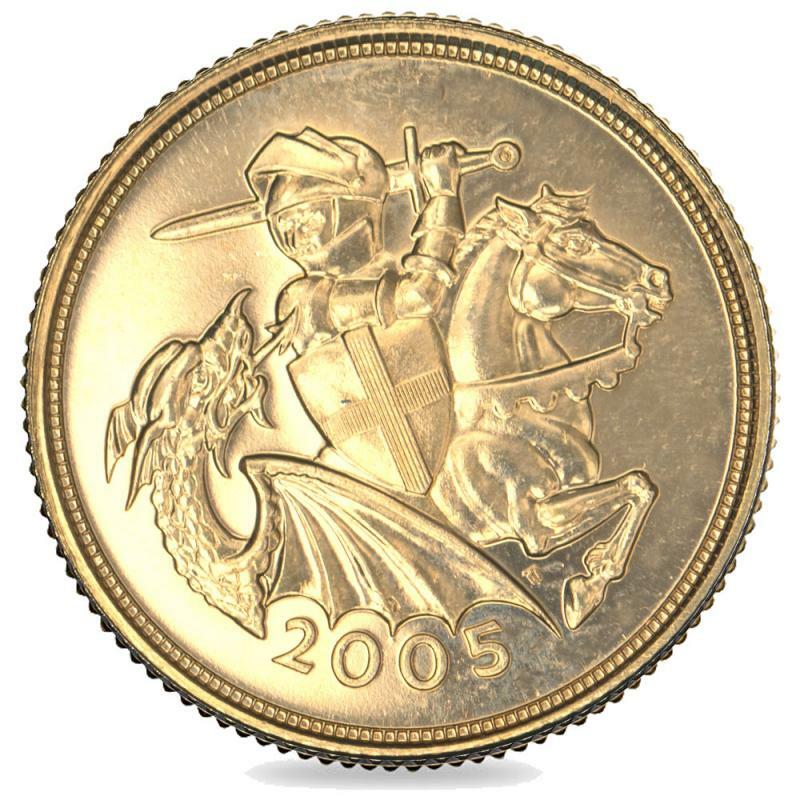 Featuring the fourth and current portrait of Her Majesty the Queen on the obverse and the revised 2005 design of Pistrucci’s George & the Dragon on the reverse, the 2005 Queen Elizabeth II Gold Art-Deco Sovereign is a popular choice with many Sovereign collectors and is extremely sought after by our customers. 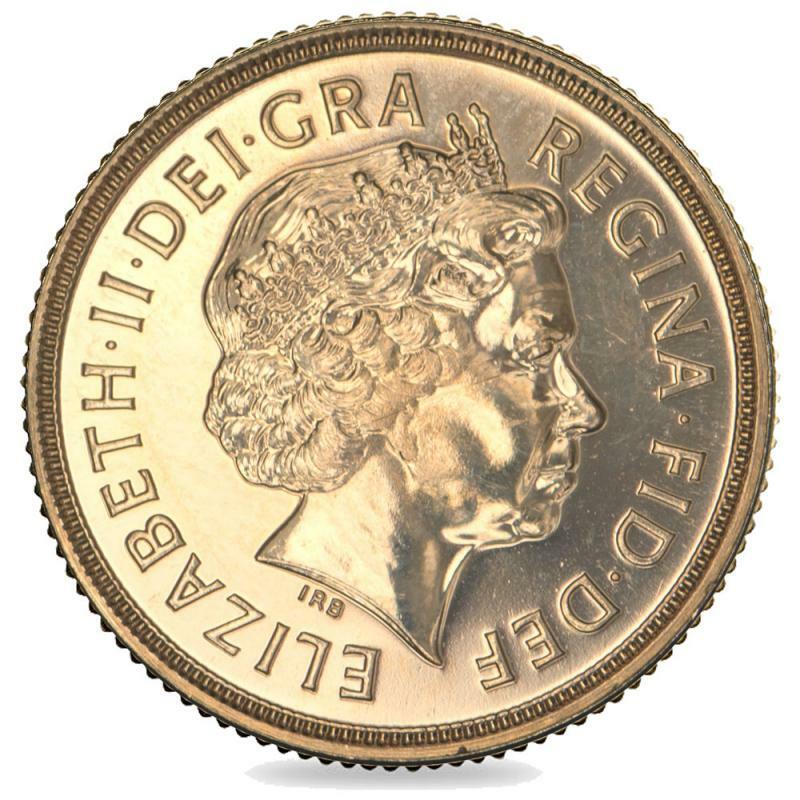 Comprised of the finest 22 carat gold with a weight of 7.98 grams, and exempt from Capital Gains Tax, the 2005 Queen Elizabeth Gold Art-Deco Sovereign is an exceptional investment for both coin dealers and private collectors alike, guaranteed to add significant value to your collection.